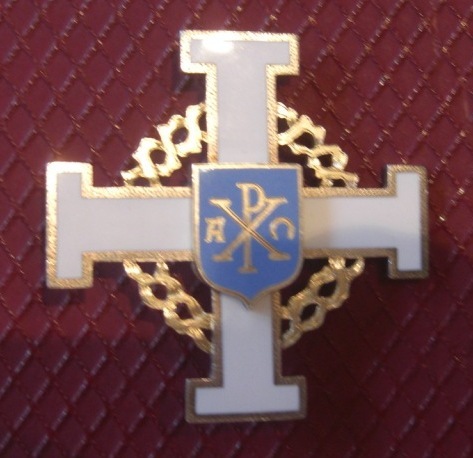 The Insignia of the Order of the Crown of Thorns pictured below belonged to the late Mgr. George F. Tull, who was Grand Prior for England and Wales and Vice-Chancellor for Europe of the San Luigi Orders, and a member of the Supreme Council. It subsequently passed to his successors in office and is currently in the possession of Mgr. Weston-Smart, who is the present Grand Prior for the United Kingdom. No manufacturer is indicated, but it is believed that it was made in Italy.